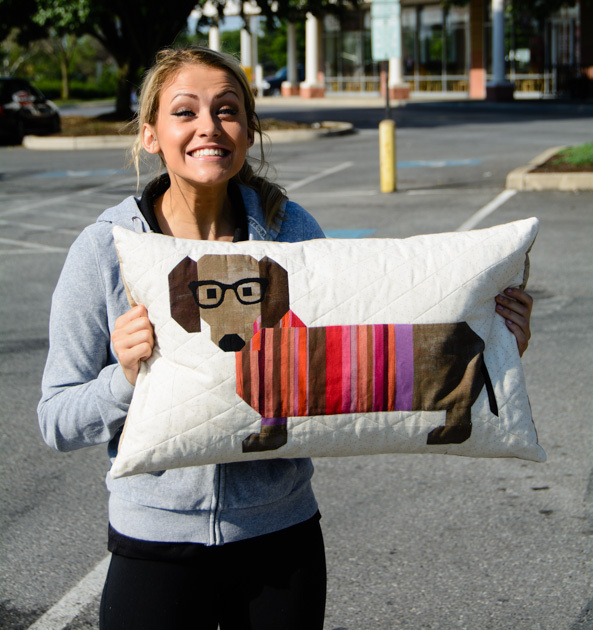 This is my friend Emily holding the pillow I made her to thank her for taking such good care of our pets while we went away for a family emergency in April. You are AWESOME Emily! Thank you again.